A new humpback whale, the 20th to be recorded in Irish inshore waters, was added to the Irish Whale and Dolphin Group’s (IWDG) photo-ID catalogue over the Easter weekend. Researchers photographed HBIRL20 on Saturday 07 April just West of The Stags off Toe Head in West Cork. 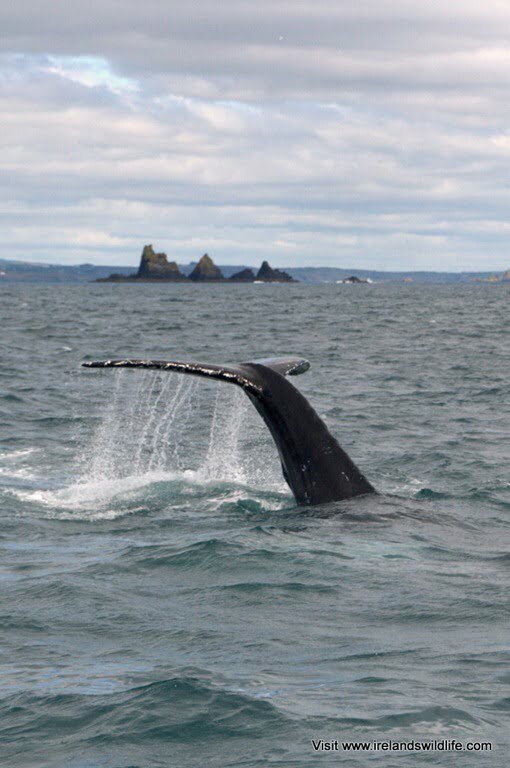 The whale was one of two humpbacks seen from Galley Head, near Clonakilty earlier in the week, but with no further sightings and unfavourable sea conditions during the week there was little opportunity for the IWDG to get a closer look at the whales. When the whales were relocated on the evening of Friday 06 April by local whale watch skipper Colin Barnes a research trip was hastily arranged for Saturday morning. Two humpbacks were seen and photographed during the day – HBIRL18, which had previously been recorded in January 2012 off Hook Head, County Wexford, and a second whale, which was soon confirmed as a new addition to the Irish list by IWDG sightings coordinator Padraig Whooley. Biopsy samples were successfully obtained from both animals to be analysed for a range of genetic and pollutant-related data. In a post on the IWDG website Mr Whooley re-iterated the fact that it was extremely unusual for humpbacks to arrive in inshore Irish waters during April. 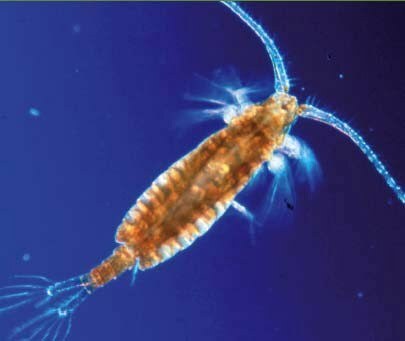 Both whales, he said, were young animals, and appeared in this instance to be feeding on a dense soup of tiny planktonic crustaceans near the water’s surface – another recorded first for Irish humpback whales.